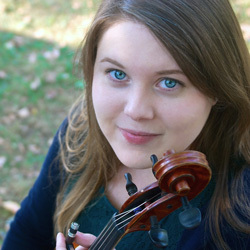 Candice Amato, violist, enjoys a versatile career as a chamber musician, recitalist, and orchestral player. Prior to joining the TSO in the fall of 2014, she earned a BM from the Eastman School of Music as a student of Carol Rodland and a MM from the Peabody Conservatory of the Johns Hopkins University as a full scholarship student of Vicky Chiang and Li-Kuo Chang. Candice has also performed at the Aspen Music Festival, the Britten-Pears Young Artist Programme, the National Orchestral Institute, the Castleton Opera Festival and the Bowdoin Chamber Music Festival. She is currently the Artistic Director of the Tucson chapter of “If Music Be the Food,” a chamber music concert series that raises support and awareness for the hungry in communities around the country.